Send a generic message to all recipients or custom message to each recipient based on a template. 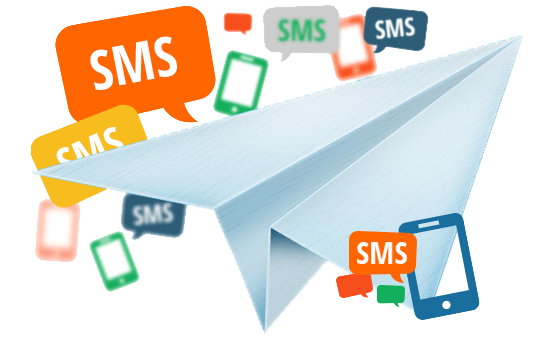 With our scalable and robust interface, you can send thousands of SMS messages per second based on your business needs. Schedule messages to go at a particular date & time. We provide a fully customized 6-character-alpha-numeric sender ID. This is the name or number which flashes on the recipient's mobile phone when they receive your SMS Text message. Softbit Solution normally transmits its own Brand Name or Gateway Number as the Sender Identification for each of the messages that the Users send. The Users can change this to have their own Brand/Company Name. All Regular Softbit Solution Bulk SMS Account Users have the option to set up their Sender Identification (Alphabetic) only once. So, please use caution before you choose your Sender Name/Number. Once configured, requests for change of Sender Identification shall not be entertained, unless it is deemed as really genuine case by Softbit Solution. Some Networks/Operators do not grant the facility of a Dynamic Sender Identification, meaning each Sender Identification has to be specially approved by them before a message, bearing that Sender Identification, can be transmitted through their Network. This has been implemented to counter spam to a certain extent. The Sender Identification is not a guaranteed feature and may be changed by Softbit Solution or its Service Providers' Networks with/without notice to suit the requirement of the various technologies/ networks/ regulatory bodies etc. Softbit Solution reserves the right to approve the Sender Name/Number for Users at its sole discretion.